The International Society for Ethical Psychology and Psychiatry had the clout to draw a stellar line-up of presenters to its recent conference. ISEPP is, after all, North America’s leading organization of critical-thinking practitioners, researchers and academics in the mental health field (though it also includes a broader diversity of members). So presenters last week included internationally prominent critics like David Healy, Peter Gøtzsche, Robert Whitaker and Allen Frances. There were lots of learnings and even some tense discussions (stay tuned for the videos), but one of the most intriguing aspects of the entire conference was the way in which scientific and social issues became deeply intertwined, especially when presenters reached for better pathways forward. Many of the conference presenters’ critiques of psychiatric practices involved concerns about how those practices are increasingly influencing broader society. Meanwhile others, rising to the challenge from University of California-Los Angeles host David Cohen to engage in “reimagining mental health care,” often ended up proposing ways to re-shape entire communities. These reimaginings strikingly paralleled several broad-based social-change movements that have been gaining traction around the world over the past ten years. Cohen said he’s now considering creative ways of packaging parts of the videos and presentation materials to encourage user interactions along different themes or lines of inquiry. They could become part of Mad In America’s Continuing Education program. (A number of the presenters, including Cohen, are affiliated with Mad In America either as bloggers, correspondents or board members.) With so much involved in running the event, Cohen said he has yet to fully digest all the talks himself to know what sorts of themes might emerge. However, when I mentioned the recurring thread about re-shaping communities, Cohen said he’d spotted that, too. Some of the conference’s presentations focused on critiques of very specific aspects of the mental health system, but even these were embedded in broader institutional and social concerns. Against that dark backdrop, various presenters engaged in successively broader attempts to present positive possibilities for our collective future. “Dwight Eisenhower said that if you’re having trouble solving a problem, make it bigger; look at it in a broader perspective,” said Whitehouse. Tomi Gomory suggested re-framing the relationship of therapist and patient as an egalitarian one of mutual learning. 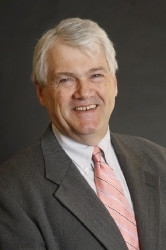 John Read demonstrated how the reversible brain changes associated with schizophrenia are the same as those associated with traumatic childhood experiences, and advocated a “family approach” to intervening. Psychiatric survivor Laura Delano described small groups of people gathering to support each other in coming off psychiatric medications — groups that would gradually expand into whole neighbourhoods and communities de-indoctrinating themselves from the medical model of mental illness and supporting each other through psychological crises, creative personal growth and social change. One specific learning, said Whitehouse, is that during disasters communities always work together more closely. Consequently, he has been serving as an advisor to a “reinvention of public education” that also knits communities together. The Intergenerational School, an innovative educational approach in Cleveland, Whitehouse explained, has been removing age-determined class transitions and bringing in adults from the surrounding community, including people with dementia, to mentor, share stories and develop projects with children. Alongside the fact that the charter school is one of the highest performing in the state, formal studies of the approach, said Whitehouse, have also demonstrated that the increased community involvement has been an effective “treatment” for adult dementia and for psychologically struggling children from difficult backgrounds. “Do you want to prevent Alzheimer’s by giving more people chemicals and various neurological vaccines, or do we want to create intergenerational playgrounds?” asked Whitehouse. Burstow suggested that a post-psychiatry world would require everything from intensive interpersonal skill sharing to a new system of governance. “The society which I am suggesting that we need to build would be based on environmentalism, respect for difference, egalitarianism, a commitment to end systemic depressions, participatory decision making, a sharing and working together, a rebuilding of connection and the commons, mutual caring and compassion,” said Burstow. “Community and connection is the base.” She then posed questions about how mental health professionals could contribute constructively now to this kind of societal change. Notably, Burstow’s list of ideas for creating better communities could have doubled as the list of ingredients for starting a Transition Town. Similarly, Whitehouse’s analysis of global problems and his hyper-localized, community-engagement solution could have come straight out of one of a plethora of “community resilience” toolkits. 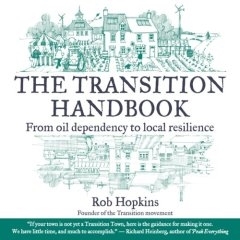 As he outlines in his 2009 TED talk, Rob Hopkins was grappling in the early 2000s with how his small town of Totnes, England could become resilient enough to survive pressures from climate change. He gathered diverse people and organizations together to develop an “energy descent action plan” for their community. Described in detail in Hopkins’ 2008 Transition Handbook and subsequent writings, it quickly became apparent that all of the community’s key problems were interrelated, and the plan developed into a comprehensive collection of practical ideas for re-localizing economies, re-building community social cohesion and mutual support systems, and re-invigorating democratic, participatory decision making. Notably, within this movement it is widely recognized that building better communities necessitates providing mutually supportive environments for people to face and deal with psychological crises and move towards significant changes in personal values and outlooks as we adapt to radically new ways of living. In the Transition Town movement it’s called “Inner Transition”; though to this point this aspect of the model remains comparatively underdeveloped. Could this be a valuable area for future collaboration between critics of the dominant mental health system and people engaged in community resilience movements? Cohen, Burstow and Whitehouse all told Mad In America that they had not specifically researched the contemporary community resilience or Transition Town movements. However, Cohen said he wasn’t surprised to hear that people coming from different backgrounds with different areas of focus are independently arriving at similar perspectives on the problems we’re facing as a society and how to go about solving them. This article was made possible in part thanks to financial support for travel expenses donated by Diana and Steven Epperson. Rob, nice job summarizing and highlighting this conference! It was dark and light, inspirational at it’s best to hear from some of our most thoughtful thinkers in the field today! I think it’s great to have a positive focus, in that critics of psychiatry should be offering an alternative. But I think it’s important to keep in mind that the psychiatric system isn’t going to just give up and publicly confess the error of their ways. For one thing, the transnational drug corporations that own the psychiatric profession have huge profits at stake here. They will NOT give up easily. Another thing that disturbs me a bit here is that mental health professionals, even the most enlightened, tend to think that the problem is just that psychiatry has the wrong approach. They don’t talk about the millions of people whose lives have been destroyed, and continue to be destroyed, by the “mental health” system. The incredible power our society has given to psychiatry has led to huge violations of human rights. And we who have been the victims of these human rights violations need to be acting like all other oppressed groups. For a number of years, we did. And we made some inroads into public consciousness. Without an awareness by the public of the destructive nature of psychiatry, the political will to change things won’t develop. There are tens of millions of people who have spent time as inmates of psychiatric wards. I think they are the people our movement should be addressing. Yes, again, I agree that people working in the “mental health” field should be proposing alternatives. But I don’t see those alternatives happening until there is a large grassroots movement working to change public consciousness. The summation of this conference was very interesting and thought provoking; thank you Bob Wipond for this important article. I agree with the thrust of Ted’s comment and will add some additional points. I have much admiration for those people creating positive alternatives, and I will always support them. But I will do so with the cautious understanding that history has taught us about the dangers of reformist strategies for change. I am glad that Peter Whitehouse brought up the question of “unbridled capitalism” as an obstacle for change. However, I hope this does not imply that somehow it is actually possible to “bridle” capitalism and then everything will fall into place. Capitalism can never be “bridled.” Capitalism (and the inner workings of “capital” itself) by its very nature is imbedded with an “expand or die” inner logic of existence. Those that lead such a system can never plan a future beyond a few years, nor can they survive as leaders unless they are maximizing profit and eating up their competition; the planet be damned! Capitalism stands as the primary historical impediment to saving the planet from environmental destruction – to advancing genuine science – to providing the material conditions for safe and responsive communities for all our necessary human needs. And today Biological Psychiatry ( with its various forms of social control of the more volatile sections of the population combined with its necessary connection to a healthy economy through the highly profitable pharmaceutical corporations) has become an essential institution helping to prop up the entire capitalist system. When charting our course forward we cannot escape this reality no matter how hard we try. The less oppressive alternative is still oppressive in the main. Coming up with non-oppressive alternatives is actually a big challenge. This is the same problem we face in the reform versus abolition debate. We can call oppression by other names, but that doesn’t prevent the situation from being one of oppression. If we consciously do so, then that entails some people (As I’ve stated before, mental health professionals are among the most prejudiced people in the world.) ridding themselves of their biases. Usually your professionals and your patients (clients, consumers, etc.) live in different communities because one, having been robbed by the mental health system, can’t afford to live in the other. There is very little social justice in this situation. Given this fact, that leaves us with what Richard alludes to above, class struggle, or the struggle between those with the power and the means and those without. Resignation, and surrender to oppression, has been called, in it’s milder forms, “learned helplessness”, or internalized oppression. Another word for it is “compliance”. I know that many of the professionals who attend ISEPP feel so stellar and superior to their clients that it really isn’t funny. This is all the more reason for psychiatric survivors, ex-inmates of psychiatric prisons, to take the initiative in having a say, and in demanding human rights and social justice. Every suppressed voice is a voice unheard, however great a listener is at hand. You still can’t hear what isn’t said. We can, we should, and we will speak out. The mental health movement maintains the mental illness industry. Escaping one involves escaping the other. When a person can turn a door knob, nobody needs to spend an entire lifetime “in recovery”. Additionally, regardless of whether no one booty fits all footsies or not, nobody needs to spend an entire lifetime baby sitting adult babies. The economy suffers, and we’ve all got better things that we could be doing with our precious time. That sounds like an emotionally charged insult, rather than a factual statement. I know there is but one version of this article posted, so we must have read the same one. How did you miss the fact that the presenters are working, as in spending their time and energy, on solutions? ; that some of the most out spoken presenters have suffered losses for their courageous confrontation of *corrupt Pharma and medical* practices, and continue to speak out, despite the risks? I think their actions demonstrate dedication to the well being of — all of us. The ideas shared and proposals made for a *way forward* do not look like alternatives to psychiatry to me, but look like the very human endeavors that community building entail– which may actually be the means for putting all profit driven mental health services out of business. I see this conference as one more stellar bit of evidence that psychiatric survivors and ex-inmates of psychiatric prisons are being heard; that efforts are ongoing and these efforts are becoming more focused and more accessible. Education being the point we all agree on, this conference was loaded with very respect worthy, well connected educators who are taking the more secure path of gradualism as a means to effect real and lasting change– for no other reason, that I can determine, other than their commitment to human rights and social justice. I will avoid further personal references and simply cite the unrealistic expectations and invalid assumptions as I see them. 1). It makes no sense to think in terms of legislation, laws that will directly impact on the power a psychiatrist has to *incarcerate* and/or *force* toxic drugs on *their patients*. Our society has placed total authority in the hands or minds of the medical profession, as experts in matters of medical practice. Any litigation that addresses malpractice has to be supported by *medical experts*. The problem we face is a matter of psychiatrists having the same total authority over their practice as any other medical doctor. Unless challenged and proven to be in error by one of their own, they operate with impunity. 2). In a capitalist, free enterprise system, the wealthy share holders of any lucrative enterprise are free to invest their capital gains as they choose. It is unrealistic to expect that as Pharmaceutical wares are proven damaging and even fatal, that the wealthy share holders will continue to invest in this worthless enterprise. 2). Social justice is a goal– and while it may get a leg up with *equal rights* amendments to the U.S, constitution and laws against discrimination, it is a long ways from being actualized in our society– as *changing minds* is a lot more complicated and time consuming than the process that made these ideals seem attainable via *legislation*. Who amongst the minorities or the oppressed who are, on paper, protected by laws are not, in fact, in the most vulnerable category for psychiatric abuse? Women? Children? African Americans? Gay,Bisexual, Lesbian, Transgender individuals?? Psychiatry is the safety net for those who reluctantly agreed to grant equal rights to those deemed *inferior* in the minds of probably half of the population of this country, imo, of course. 3). It makes no sense to incite the public to outrage aimed at effecting political action WHEN, dissidents are easy prey for psychiatry– As has been pointed out repeatedly on this site. There is no climate of empathy, sympathy or even compassion born of a capacity for understanding most of what is shared by psychiatric survivors– as the climate that contends that psychiatry fills a need that no alternative can address is prevalent. Sad, but true. AND– regardless of this huge barrier, there is no reason to believe that the effect of community building and continuing to create *alternatives* will fail to achieve a more substantial goal. IF successful– these endeavors will eradicate the need for psychiatry, by addressing and remediating the causes that many already know are the source of *mental, emotional and spiritual* distress. You may call this circuitous, but to me, it is a surer means to lasting change. I see this conference as one more stellar bit of evidence that psychiatric survivors and ex-inmates of psychiatric prisons are being heard; that efforts are ongoing and these efforts are becoming more focused and more accessible. The last time I looked the majority of attendees at ISEPP were “mental health” professionals, NOT psychiatric survivors and ex-inmates of psychiatric prisons. Ditto the presenters. I don’t exactly know who it is you want to sellabrate, Sinead, but sellabrate them away from me as I’m the person being personally insulted here, and by you. It is unrealistic to expect that as Pharmaceutical wares are proven damaging and even fatal, that the wealthy share holders will continue to invest in this worthless enterprise. 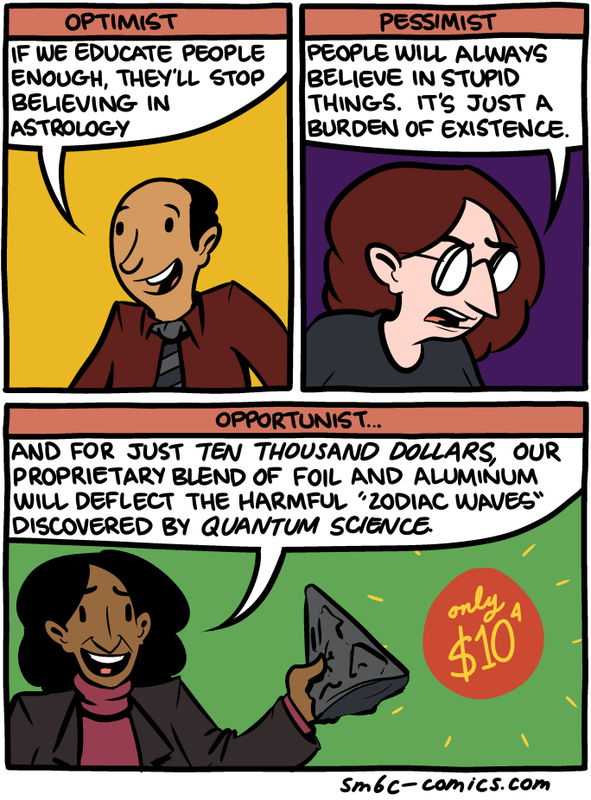 Unrealism is a booming business right now. Hmmm. I wonder how that happened? Drug research and development must, according to bio-psychiatry, go on. They want to get every ounce they can out of that chemical goldmine, physical health be damned. Psychiatry is the safety net for those who reluctantly agreed to grant equal rights to those deemed *inferior* in the minds of probably half of the population of this country, imo, of course. I’m not in the “mental health” system, Sinead. I have equal rights. Sad, but true. AND– regardless of this huge barrier, there is no reason to believe that the effect of community building and continuing to create *alternatives* will fail to achieve a more substantial goal. IF successful– these endeavors will eradicate the need for psychiatry, by addressing and remediating the causes that many already know are the source of *mental, emotional and spiritual* distress. You’re doing a heck of a lot of speculating here. The above absolute nonsense comes to us courtesy of the Kim Foundation. Now tell me what these alternatives are doing to lower that 26.2 % figure. Speculating. Well, given a lot of speculating, the figure is likely to go up before long I imagine. Funny, it never seems to go down. It doesn’t go down because the complement of the mental health movement is the mental illness industry, and we are here discussing people who work in the mental illness industry. Differences of opinion are the spice of life, Sinead. Unity and solidarity are fine. Surrender, not so much. The Don Quixote thing, I don’t want to go there right now. I just don’t get the idea that your idea of unity and solidarity, and mine, are synonymous. Transference is a phenomenon characterized by unconscious redirection of feelings from one person to another. How many c/s/x have a degree, or have written a book, of have experience and skill/confidence enough to speak publicly? Where does their (c/s/x) money (income) come from? As in, Who is paying them? What work is being performed? The fact is billions of dollars are being made by psychiatry and Pharma Co. . In voluntary psychiatry the consumer pays. Buyer beware. In involuntary psychiatry the Government pays the bill. The Government should want to pay the lowest cost, or get the results they want from the money they spend. To a psychiatrist there is a perverse incentive, the more sick there are, the more money and more power is given to them. The (much earlier) death of the mentally ill person is attributed to THE mental illness , so there is no problem. Hi Ted, I agree totally, the talk about drugs and even ECT are the leaves on the trees, the form that is the trunk is what allows the abuse to continue. As long as people are seen a lesser, that can be no change. “Are There Ways To Lessen The Violation That People Feel After Psychiatric Hospitalizations? All these anecdotes attest to the same thing – the entire psychiatric system is systemically abusive. The Mental Health Acts in Australia are so vaguely defined that they are open to extreme interpretation so many people end up as Involuntary (forced) patients, deemed incapable, without civil rights, simply because they do not wish to `take their meds’, a right extended to every other citizen in the country even if not `taking their meds’ could lead directly to their death eg cancer drugs. It seems extraordinary that a government supported Legal Service formed to protect people from psychiatric misconduct, reckless, inappropriate, or illegal treatment, feels a need to caution people against refusing treatment such as electroshock, because if they do they may be made involuntary, thereby losing almost all human rights. In fact, the same person, at the same time, will be declared incompetent if they say `no’, but deemed competent if they say `yes’. Legally incompetence is incompetence, and cannot be qualified by agreement or disagreement. This reflects a systemic abuse of the law. Again, the need to protect the public from “dangerous lunatics” denies the evidence that the mentally ill are are least no more violent than the general public in any risk of “dangerousness”, and are statistically far more likely to be attacked than to attack others. “Appears to be mentally ill;” The potential for abuse here is intrinsic. Anything the authorities don’t like, understand, approve of is grounds for being deprived of liberty.There is no definitive, description as there is in a crime for instance, eg larceny, murder, assault etc. Not too long ago, women were declared mentally sick and incarcerated for adultery, fornication, being `too interested in boys’. Men were locked up for `unnatural behaviour’, lewd and drunken behaviour. How far have we come with this? “May be a danger to himself or others;” To deprive someone of their liberty a crime must have been committed and the person apprehended must reasonably be suspected of actually having done it. Under the MHA it is enough for someone to think that a person might, though statistics show that 97% of people who think about suicide never do it. The other three basically support these two. I.e. “Refuses treatment; Does not believe they are ill i.e. disagrees with the authorities, (most criminals also disagree with authorities but cannot be retained unless there is SOME evidence of guilt. ); Cannot be treated in any other way, i.e. NOT negotiable unless compliant. Of course, if the person agrees that they are ill, agrees to take medication/ECT/treatment, they are no longer considered `incapable’. When the law for some people allows them to be deprived of any right to disagree we have the gulag. There is no reason to assume that Australian psychiatrists are any more competent than their fellows overseas,which suggests that many people are being unnecessarily incarcerated without rights in our mental health system. Regarding the claim of the “dangerousness” of the mental hospital ward, here is a scenario played out regularly in the system. The police, ill-informed over what constitutes `mental illness’ may respond to a call from almost anyone, a neighbour, a relative, or even a passer-by, knock on a door of an unsuspecting member of the public who may understandably object to being told to come with them to a hospital for no apparent reason. This objection may then be called resistance and evidence of `disturbance’ leading to physical force being used to restrain the person, who may object even more strongly. On arrival and handed over to the medical staff at the hospital this `disturbed’ person will then be injected with drugs, often either or both physically restrained and secluded. Up to 72 hours later she, or he, may well be too drugged and/or confused from electroshock to speak to a lawyer, to appear at a tribunal, to hear what charges have been laid against them (ie why they have been declared mentally ill and incompetent, and who may never know who made the first call), or to plead their case. This person may never have done anything, much less committed any crime that should deprive them of his or her liberty, allowing them to be assaulted with drugs and electroshock without recourse, based solely on opinion. There are no objective tests in psychiatry. In fact only 3% of ITOs are overturned at the tribunal in Victoria. A barrister I knew regularly was called to represent `recommended’ people at the mental health tribunals. She often referred to me, as a former mental health professional, because she could not converse with her clients as they were almost unconscious from drugs, got unclear, contradictory information from staff so was unable to help her client in any meaningful way. On one occasion, a man due to appear at the tribunal was given electroshock 2 hours before, leaving him extremely confused and unable to communicate. From some of her stories it was clear to me that many people were held without just cause and that this constituted abuse of their civil rights if nothing else. Re reporting any abuse, rudeness etc – Patients are regularly threatened, `don’t make waves or it will be the worse for you,’ i.e ECT/seclusion/extra drugs. If people do complain it seems that unless the staff have recorded the abuses no action will be taken. It is highly unlikely that any staff member(s) will write that they are abusing patients, and records may be absent altogether, inaccurate or contain outright lies. As I’ve stated it is not uncommon for case notes to go missing or be altered when issues arise. One major hospital in Melbourne was recently found by the coroner to have altered case notes following a death. Patients are rarely if ever believed. In the case where serious and sometimes deadly results of psychiatric interventions occur, the coroner will generally find that the staff, ie doctors and nurses were justified in using the massive doses of drugs that caused the potentially fatal Neuroleptic Malignant Syndrome, or status epilepticus or stroke from the electroshock, respiratory arrest as a result of a knee in the back, or suicide from fear of seclusion and bullying into electroshock, and the fear of further shackling, because, in somebody’s opinion, not necessarily even that of the most well qualified (see APA, RCP disclaimers), just the most available person, an individual MIGHT have been a danger to himself or others, or APPEARED to be mentally ill. This crystal ball approach to managing those who are often only intermittently disabled can and does produce ongoing abuse. As institutions where children are freely accessible attract pedophiles, institutions where vulnerable, powerless people are to be found, especially when that powerlessness is supported by the most disenfranchising legislation in the land, will attract people who have a need or desire to exercise power. In both situations the outcome will be abuse. In my experience the majority of the violence and abuse comes from staff attitudes and behaviour, and aggressive patient behaviour is often the result of self defense, against unwanted/unwarranted drugging and the physical violence of electroshock, the rudeness, verbal and emotional aggression, unnecessary use of force and avoidance of any therapeutic contact by staff, as a general and expected way of behaving in the institutional setting. Often nurses who attempt to engage with patients are discouraged from doing so by fellow staff members. In fact, most violence from patients comes from people who have neurologically toxic conditions from drugs and alcohol. Even if the individual has a psychiatric history, or presents with listed psychiatric symptoms eg hallucinations/delusions, treatment of toxic conditions should be treated in a different facility. What you might hope is that inquiries would leave in their wake a legacy of improved care for patients and redress for victims. But the author of this was concerned only with the impact on psychiatrists and other staff. I think we have to recognise that an abusive, intimidatory environment may create, exacerbate and perpetuate disability. (ICIDH… “the recognition that environment not only affects handicap but can also affect disability”). Society attitudes, influenced as they are by inaccurate, biased and often false information, and supported by government-sanctioned human rights abuse, have put the mentally ill at the bottom of the totem pole. The attendant violence, abuse and neglect cements this, leading to a climate of despair with a terrible human toll including high suicide rates and the descent into hopeless, chronic illness and disability. This is a major characteristic in the mental health system in our society that is not mirrored in some others. In Australia the treatment can be far worse than the illness. As long as the system is designated solely as a medical problem, the reality of the SOCIAL basis of nearly all psychological difficulties is ignored. Because of lack of understanding(training), facilities, (crowding and inappropriate bedfellows), lack of defined boundaries (power imbalances within the treating team as well as between patient and staff,) and the overall and institutionalised “them and us” ethos, there is obvious and well documented instances of violence, abuse and neglect which has existed for a long time and shows no sign of improving. It is so interesting to note that my ‘crazy’ friends have been saying this stuff for a long time. Here’s another conference where it is all psychosocial theorists. These people cannot pretend to be scholarly. Coercive suppression of half of our power. Ex-patients and all opponents of NAMI/APA/DSM fraudulent Psychiatry beware. David Cohen stands in judgement of base rhetoric. 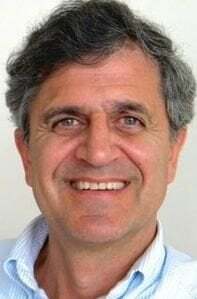 The critics of Psychiatry that pass muster are those that meet certain quality standards. People of his kind. He and his can tell, and nothing else may apply — it’s not qualified, out side the veil. C/S/X Movement – This here is a cul-de-sac, a misdirecting. Movement people, This is divide and conquer. Likewise, Dr. Cohen tells us that Phillip Dawdy of former Furious Season’s blog is almost qualified to be heard. People of the Movement. “Go elsewhere” rather than pay for another conference by these operatives. Greetings Daniel, and welcome to the webzine created by Robert Whitaker, where you have the opportunity to slam him and David Cohen, the organizer of the conference you are slamming and the man Whitaker credits for starting him on this path. I will offer you the only praise that is both appropriate and sincere. If there ever was a perfect metaphor for “shooting oneself in the foot”, your comments surpass it! Unity and solidarity are built from a shared sense of purpose, an agreed upon goal. I believe that when these two conditions are met, differing opinions, ideas, etc. represent the diversity that strengthens the team. When the purpose and goal are well understood and agreed upon, differing opinions are welcome, appreciated and at the very least, tolerated. Your beef seems to stem from your conviction in the worthlessness of “mental health professionals”. ? They [we] are the cause of the problem and therefore they [we] cannot possibly solve the problem ? or since *mental health professionals* aren’t the victims, they [we] have no idea what the problem is?? So, you are insulted because I am encouraged by the efforts of “mental health professionals” who are assisting other [worthless] “mental health professionals”,like me, to offer help and hope to people currently being harmed by or are at risk for harm from the “mental health system”- that is not going away anytime soon, by all accounts. Why would my view of the benefit gained from this conference, insult you? We are very obviously coming from vastly different backgrounds. You have lived experience, shared experiences validated by other psychiatric survivors and statistics you quote in the context of your beliefs based on your experience. My lived experience has put me in close contact with every facet of our horrid mental health system to the tune of the two to three hundred people admitted- on average, per year to any one of the inpatient units I have worked in for over 20 years. Even if I felt like doing the math and plugging in all the variables, in terms of academic versus private for profit versus state hospitals, the numbers themselves are not going to provide the source of the purpose or the goal I have developed based on being a “mental health professional”. I am merely referencing the multiple encounters I have had with people suffering more from what was discussed in this IEPP conference, than any number of labels and diagnoses they were given. I witnessed psychiatrists and their minions deny and resist reality before there was a shred of scientific evidence to support the misgivings I shared with a hand full of”mental health professionals”- and, when I was fully armed with solid evidence, I stood up to protect people in my care as *patients* and was forced out of my job, via a year long campaign that was waged with the same dirty tactics that created this abusive system. My goal is to protect and assist people on the inside of the worst place to be in this system. I see them as the priority. It is an automatic reflex to seek every possible means for preventing other people from this clear and present danger. Do you have some valid reason to disparage( note that I did not say disagree with)) my opinions, other than my positive sense of connection to the “mental health professionals”, presenters,whose contributions to this conference were the topic of this article? I am beginning to sense that the goals of the *movement*, defined here as the creation of psychiatric survivors and ex-inmates of psychiatric prisons, differ in a profound way from the goals I have stated. I see a personal need to confront, admonish, punish and demean “mental health professionals” who claim to be working on solutions, as a right of passage from the the *movement* that clings to the results obtained from their actions in the 70’s,and with die hard sentimentality, longs for a revival of tactics that have lost their flavor in the 21st century. In many ways things have gotten worse and that, too is a reflection of the change in the times. To me, it seems that the *movement* cannot conceive of the possibility that “mental health professionals” would become champions of their [your?] cause, looking for every possible means to discredit even the international leaders who have all, to some extent, made personal sacrifices and endured some degree of abuse. All matters of simply accepting the risks inherent to this struggle, that believe it or not, was initiated by a sincere desire to put things right. Fiery dialogue and heated debates go with the territory of breaking new ground, while in-fighting and personal attacks are harbingers of defeat– or so I believe. You don’t seem to understand the complex of feelings and thoughts that were behind my comment. Although perhaps I wasn’t as clear as I would have liked to have been, my intention was merely to add further support to the somewhat critical positions regarding the ISEPP conference of Ted Chabasinski and Richard Lewis. For Ted it was the destructive nature of psychiatry that he didn’t feel was adequately addressed. For Richard it was capitalism. I would concur with what both Ted and Richard said on this matter. As for what I wrote myself, it was my second attempt at posting, the first got lost somewhere when the page was being changed, and I don’t think it was as thought out as it perhaps could have been. I do not intend to come across as a friend of psychiatry, nor of mental health treatment, and the mental health professionals and paraprofessionals that go along with it. I am not into the turncoat business. I’m not a collaborationist in Vichy France, nor in “recovery”, nor in oppression. I don’t need the mental health system nor psychiatry. My experience of psychiatry has been the thoroughly negative experience of forced institutionalization. The ways in which psychiatry plus has tried to keep me entangled in the system following discharge from psychiatric imprisonment were many. Thankfully, as far as I’m concerned, I managed to achieve a certain sort of distance from the institution for myself. What I am not doing is “consuming” “services”. Many people are “consuming” “services”, and if it works for them, all power to them. Just the same, there are other people who are “consuming” “services” who are among the people dying on average 25 years younger than the rest of the population. This is to say that there are people being killed by the mental health services they are receiving, and many people at that. “Consuming” “services” is helping them to die faster. I’m not really speaking for the people who are “consuming” “services”. I prefer to think of myself as speaking with the people who refuse to “consume” “services”. I don’t have a problem with that. I’m not saying some good things didn’t come of the ISEPP conference at all. If that’s what you were thinking, think again. The Transition Town idea seems to have a lot of potential. I’m just thinking that when our communities need some sort of resilience, or resilience training, something is very disturbing about the position that they find themselves in. My speculative leap here would make corporatocracy, the power of the major conglomerates, the thing that communities must recover from, or develop resilience on account of. The problem is that I don’t think there is any clear idea of how this is to be done. Sometimes the answer would be an alternatives incorporated, but, as you can see, the idea of mimicking ones adversaries has its limits. We know there is something wrong with their system. Psychiatry, and the mental health profession that goes along with it, are something I neither need nor want. Okay. So I don’t need to pay some folks salary, and the salaries of some folks who went to ISEPP. The “mental health” parenthesis can exist without me. I would have that parenthesis vanish entirely. For me, it just means more harm than good. I guess it means something else to you. I don’t think everybody should be in complete agreement. I would, in fact, encourage discourse and a diversity of views and perspectives. My perspective though is not the view of “mental health”, nor of “collaborating” with “mental health” professionals. The “mental illness” excuse, in all of its many manifestations, is not my excuse. Alright. What am I saying? 1. I was a victim of psychiatry. 2. I was involuntarily mistreated. 3. Now, as then, I didn’t NEED any psychiatric maltreatment. 4. You shouldn’t use me to justify force, torture, and killing. 5. I’d be happy if there were more people with no NEED of the “mental health” system. 6. I don’t need to collaborate with people in imprisoning, torturing, and killing other human beings. 7. Not that long ago there was no voluntary psychiatry, and there was a much smaller patient population. 8. Increasing the patient (i.e. labeled) population, involuntary or voluntary, is no big improvement. 9. Decreasing that population would, in fact, be an improvement. 10. Eternal “recovery” is eternal BS. I was not engaging in any ad hominem attacks that I know of. If I was, name the person so attacked. There are going to be divisions and disagreements. It depends upon your perspective as to whether that is a good thing or a bad thing. As far as I’m concerned, it’s a good thing. I don’t know, I welcome any efforts to critique psychiatry and I think this website is great, there’s a tonne of great information and I personally haven’t seen any censoring going on so I’m not sure what there is to be upset about. Reading this overview here one thing that jumps out… I will say trying to link climate change to psychiatry seems… if I may be frank, like pure insanity. I don’t think you can expect anyone to take you seriously if you just keep trying to bring in unrelated issues, and it is unrelated, it’s completely unrelated. Anyway, this site might favor professionals that know something is wrong but are still trying to retain their purpose in this role, good luck to them I guess. This site still contains information that is without a doubt more accurate than many other sites on the web. So as long as there’s a commitment to truth, an adherence to the true spirit of journalism, intellectual honesty , no inappropriate censoring etc then I think the site is a major asset for anyone. I don’t think it’s insanity at all to link it to climate change; maybe you just aren’t able to see the big picture? It’s called capitalism, and it’s eating us and everything on the planet alive for a buck. More, bigger, use up all the resouces to sate artifically implanted ‘needs’-a lot like a cancerous growth. Is it called capitalism or is it called crony capitalism ? Either way I think turning up to a conference about mental health and talking about climate change is a dumb thing to do. Here, Barrab, I have to take issue with you. As far as I’m concerned “mental health” is a figure of speech. “Mental illness”, too. Climate change, on the other hand, is going to have a drastic effect on health in general, physical health, and it belongs on all platforms and forums. Corporate capitalism has a lot to do with why we would be talking about climate change and “mental health” together, chiefly because we owe climate change to the pollution that came of putting profits before people. Also, we owe much poor “mental health” to the pollution that comes out of a pill bottle where the same principle applies, that is, profits over people. Look, these things are simply unrelated and it serves no purpose to link them together. The only reason they would be linked together is because someone is coming here and trying to co-opt this movement or to divide it. It’s that simple. The same problems are there with methods proposed to supposedly address man made global warming, crony capitalism etc. I object to someone that wants to come and try to introduce irrelevant topics. Are they? That’s your opinion. Other people might feel differently. High incidence of “mental illness” has long been associated with urban living. Urban living, “mental illness”, and climate change, as far as I’m concerned, given this fact, are all interrelated. I don’t see why “healthy” living arrangements, “healthy” air, and “healthy” minds wouldn’t all go together. I don’t see why a conference, in fact, couldn’t address all three. Oops, 4 things actually. A healthy economy, too. So there’s anti-capitalism thrown into the mix. I’m seeing a lot of mental gymnastics going on. I think it’s am obvious wedge to just rock up and say ‘what about climate change’, used as some nebulous term. What is really wanted ? Agreement on an outside topic ? What is actually being advocated ? Does pollution cause mental illness ? Well, that’s relevant. Are certain lifestyles a problem ? That’s relevant. Empty …”What about global warming ? ” “We gotta do something about global warming guiyz” “I know you’re here to discuss mental health but you must also accept climate change is as important while you’re here” It’s nuts. I tend to agree–not because I think the speaker was trying to “divide the movement” or anything like that as another poster insinuated, but because there’s a difference between seeing the bigger picture and losing focus (I’m a registered Green btw). Problems with the mental health system are huge and systemic enough on their own–yes there are linkages to unhealthy living, excessive stress caused by corporate capitalism’s need to expand at any cost, and so on, but there’s also an element of practicality which needs to be addressed–the movement for alternatives has very limited resources compared to its adversary (in a sense, in another sense it has greater resources–the wisdom and desire of people everywhere to be healthy)–to spend it on debating climate change seems like somewhat of a fool’s errand to me. When it comes to battling climate change, there is no front that I wouldn’t utilize in this struggle. The deals being made in the interests of slowing climate change are not working. All the news channels report the same thing. Slowing climate change, as is, essentially amounts to resignation towards climate change. Not even the governments of the world can take this very real process seriously. In this regard, there must be some “serious mental illness” label that can be applied to many of the world’s leaders. We need an alternative DSM to be applied to the uncaught crazies, especially those uncaught crazies in power. There, it all ties together. Reverse climate change, and just as in ending war (a danger to oneself and others), you are doing something for the “mental health” of the people on this planet. Don’t do so, and you must be “off your gourd”. Somebody was saying something about “fool’s errand”? Appreciate a report from the ISEPP conference. I have been wondering also, why there was such a big focus on The Transition Town movement. I rather missed more info on ‘community building’. On Eutopies (B Burstow) where tensions in professional powers, power of academic education and psy professional status, in my view, needed be radically explored and challenged. People majorities in communities (urban, suburban, rural?!) seem to be ever more disenfranchized and empoverished (I refer to critical work done on the situation in the US). The dispossession and exploitation (no living wage etc) plus increase in pivate business containment (prison, policing) have been shown to be produced by neoliberal politics shaped by corporate interests. Therefore the overwhelming destruction of social and natural life needs be adressed, with psychiatric and paternalistic health care industries being part of the big business. I however vehemently disagree with the ‘finish line’ statements: we are all put ‘on the same level’ and do face ‘the same issues’. This is where global warming does not address socio-political, ecomomic, racist, gentrified, empoverished, emprisonned problems of severe injustices that produce many violences with a maority of victims and a minority of winners. It’s the illusionaly sameness in the face of death. A major difficulty for many mental healthcare professionals seems to be that they are trapped in privatized health business systems whereas many of them have social and communitarian concerns and values. But instead of pretenting to be all in the same boat, social justice must address how severe anti-social injustice and violence and victimization and moral corruption, betrayal and despair are politically produced – in the service of banking and business. How there are social tensions of power and status diversity in potential ‘transition communities’ that need be challenged if one wishes to use inspiration from Transition Towns for communitarian alternatives. As long as there is not an fair and representative fraction of survivors/consumers/advocates from all classes and margins, I agree with those who have pointed out that ISEPP is in danger of being a good will celebration of the well educated and well spoken academically qualified only. Nevertheless, I hope to contribute the reminder of the necessity of introducing social dialectics and tensions in dynamic-social thinking and life practices, to call for bringing together survivor/consumer activists, advocates, leaders, educators with mental healthcare professionals who, the latter, know why they need the formers’ real knowledges of many oppressions and resistences if really they want to build collectives for social justice – and not just share Utopias and Well Meaning declarations . Bonnie Burstow has addressed some of these issues in her talk on Eutopia (available online). Nevertheless there is a huge void, very diff from the invisible menace of global warming: the politics by and for corporocracy and against more social/ist politics for and by people, the politics of restructuration since the 1970s which killed many of the socialist, anarchist, communitarian movements and claims of the 1960s are not even being mentioned. Eventually the deeply injust social and professional positioning, different degrees and interdependences of dis/empowerment between the diverse professional and survivor/consumer actors and the oppressed, victimized and contained bodies (in prisons, by psychiatry) could be adressed through analyzing the differential impacts of health business and antisocial politics. The diverse actors may struggle and re-define roles and accountabilities for a communitarian ‘health and justice’ citizenship and therefore reclaim the crucial social functions of a welfare state. Having read the report, it seems that the threat of global warming is closer to the concerns of the ISEPP speakers than the historical and present every day struggles and knowings of the majorities in the margins, and many psychiatric (ex)patients belong to these groups. I rather missed more info on ‘community building’ as inspired by Franca and Franco Basaglia and the concrete politics within the 1960s/70s anti-psychiatry collectives per example. Laura Delano, psychiatric survivor and ex-inmate of psychiatric prisons was a presenter– who organized the first MIA Film Festival, which I was fortunate to have attended. This event marked a long awaited new milestone, highlighting real cause for hope via work accomplished toward visions for the future. There is more power displayed and inspired when one can experience the results of work that is shown in a very moving, realistic “how we do it” format. The discussion panels after each film showing provided connection for the audience to the benefits of taking action where one lives, and the evidence that community building happens around a shared vision. This IEPP conference was described fully as means for sharing and accessing the work and ideas of those who are moving forward. (article posted) As a person who has become involved in a myriad of community building activities over the past 20 years, I have to say that the face to face, life to life encounters of people who live in a community are very much affected by an organized project that draws them together out of common interest. Crisis can do this, as was proven in my town April 2013– but the ideas that become projects that draw people in are not *rocket science*. Integrating senior citizens into education activities, enriching the lives of children and revitalizing significant elders is a very good example,shared at this conference by Peter Whitehouse. I personally believe that by becoming too focused on the evils and the horror stories that produced the crisis so well described on this site, we risk stagnation in a pool of complex feelings that fuel anger, discord and division between people who at heart have a common goal. Somehow the knowledge of the horror stories that each of the presenters has a specific awareness of; that fuels their momentum, has been totally discounted. It is as though some commenters here think this was a social gathering of professionals with too much time on their hands, seeking an audience to show off the work they did in their ivory towers. Maybe some do believe that– but I know this is not the case. It requires energy and sustained momentum to defy gravity– and as I learned at the MIA Film Festival, we owe a debt of gratitude to people like Laura Delano, who has clearly demonstrated the immense value of her lived experience, via the transformation of suffering to the contagious expression of joy I saw on her face when I finally had a chance to tell her– face to face, how much I appreciate and admire her. The first step to community building was shared by Laura on this site. First you have to decide that you are venturing out of your comfort zone, come what may—. I encourage everyone contributing to this site to make this first step– and for all critical psychiatric survivors who have found this conference lacking “their voice”, you may want to apologize for discounting the fact that you were represented by someone who has proven her amazing capabilities to go way beyond *recovery*. Sinead, I am a critical psychiatric survivor and have shared reasons for why I see a clear need of getting more people from the gutter-class-community as active participators. To the comfort zone whom of us is supposed to come out of, I have none, this comes with being part of the working and volunteering poor (not poor in spirit). 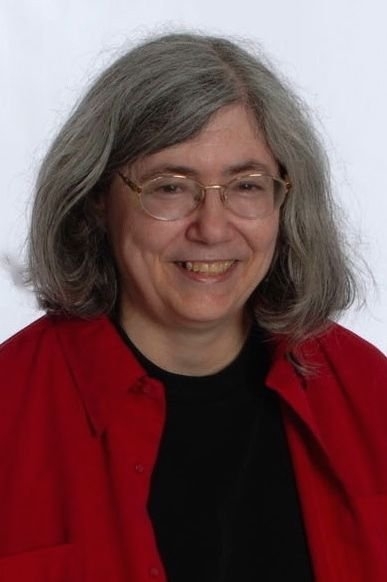 I do not need to apologize to Laura Delano, I do appreciate her workings, nevertheless I’am surprised she is even being suggested as having to represent ‘all’ psychiatric survivors. – I stated that true transformation can only happen when those who need it most are not only being heard but claim the power to contribute from different standpoints than well meaning professionals can. I think that working through difficult issues and standpoints in collectives of diverse people can yeald strong practices and strategies. However, how can priorities include change for those who need it most and have the intimate knowledge from resisting extreme difficulties but being failed by politics if the latter can’t contribute. I have just been to a peer congregation of organisations from very diverse ethnic backgrounds where it was very clear that the diverse experiences of marginalization and resistence and survival against all odds need be worked with. If these voices and knowings are silenced there will be business as usual, because of not knowing what the diverse needs are. And no I do not have amazing capabilities to go beyond recovery. Quite often I just try to keep up with difficult and contentious knowing, with listening to the people who most often feel persecuted and wothless because they have been made – speaking truth to power, the truth of the gutter-class-people I happen to belong to for many a reasons. I don’t think this IEPP conference was a forum for exploring and problem solving the issues you are raising, that are unique to your community. Since David Cohen attended the MIA Film Festival recently, I think the goal he had in mind was to build on the momentum of the Film Festival’s very powerful venue. I was in the audience for a talk he gave on the last day . Where I sat, amongst many psychiatric survivors, the response was overwhelmingly positive to his commitment to maintaining forward momentum. I felt totally at ease and sensed a very strong connection with the diverse audience that day, and I think that is because each of us was inspired by possibilities, but I certainly could not imagine myself organizing the MIA Film Festival, based solely on experiencing this amazing feat first hand. I may not even be capable of articulating what I want to express. It’s hard to find the right words for having had an experience that was almost surreal in it’s approximation to a vision. Equally difficult to capture in words the powerful emotions evoked hearing and seeing so much proof of the potential realized by deeply moving humanistic efforts. Again, with admitted inadequacy, I have to say that all critics on this comment thread, who failed to even note that Laura Delano was a presenter, are missing something … the meaning of solidarity? the opportunity to share a resounding victory? I mean no disrespect– to anyone and who has a stake in *putting things right*.I really do not understand why , for instance, you identify yourself as member of the “gutter-class-people”. Why the need to create new negative labels, categories for anyone? I do believe in, through having experienced it, the transformative power of engaging with others to realize a shared goal–, the difference between the sharing,empathizing,commiserating that is based on shared suffering and the sharing, planning, creating and doing the work to make something happen– makes all the difference. Don’t wait for the right ideas or actions to emerge from anywhere but within your own precious life. Propose a project that captures the interest or reveals unique talents within the group you are part of– face to face, life to life contact is the means for community building, the possibilities are limitless. The experience is priceless. As long as many many groups are excluded and only stellar critical leaders are invited to discuss the reimagination of future mental health and communities, there can not be expected transformative change that is informed by the knowings of these excluded many many groups and people. It so happens that the leaders most often represent the practices and knowings of the privileged whereas ever more marginalized people are left devoiced, but paternalstically made decisions and created visions about. That is not ‘common visions that can only be build from grappling with the ‘social and psychological’ defeats caused exactly by culturally, socially, economically deeply injust politics and the crippling inequality gaps they produce. As soon as the video of Laura Delano’s talk will be made available, I will watch it, cause I am eager to learn what she shared and proposed. In contrast to you I do not see how a solidarity and ‘surreal’ vision and celebration of (whose) ‘victory’ can be meaningful as long as majorities of people are excluded. Wonder what is so difficult to grasp in here. And that does not want to make me celebrate cause it is exactly anti-democratic. How can I want to celebrate something like this? Gutter-class-belonging is a metaphor, as I rent a small room. I am only gutter-class with regards to the ‘normal community face-to-face meetings of the more wealthy’ – as there is lack of commons, at least in winter time, there are no places/rooms to meet up without having to pay for it. I would never have imagined how oppressive the blody capitalism is to poor people who are always excluded, had I kept with the lower middle class I had been born into. I would never have imagined how long is the road to not just hide in shame and blame oneself, but to speak up against injustice and exclusion – if I had not shared with other ‘loosers’, and reading critical books and learning about inwards turned oppression and silencing. So I am aware of my reasons to be worried about celebrations and conferences where a majority of people affected by the subjects under debate are excluded. And it is not a hazardeous happening who are the majorities excluded but whom is spoken for. Obviously I think it’s great at least Laura Delano was given the opportunity to speak out about survivors liberation and action. One project can not be expected in the midst of all the non survivor speakers to take on the claims and knowings and wishes of the majority excluded. It is rather disturbing that insistence on more knowing voices from the realities of survivors even needs be explained. Taking on the illusion that some stellar leaders really can create and envision on the basics of silencing and excluding the majorities of those deeply affected, seems totally narrow minded and prolong as well as legitimate, by celebration, socially injust practices. Strangely enough my proposal to think about the difficulty of caring for communitarian concepts – community projects would need be co-produced by the excluced or they only pretend to be communitarian – whilst enjoying the beneficts of limited ‘middle class’ and proper intellectially acceptable correctness and happiness was not taken up. Therefore the questions of how being allies and partners across different realities created by severe and corrupt political injustice is left silence. May be this question does not sit well with the repetition of the same injustice as in the governing politics of excluding the majorities affected by the debates. I am quite worried that I have contributed nothing new, but called for seeing the injustices created by such kind of conventions shaping and celebrating futures for those excluded. May be this kicks a bit of political and social reality awakening – cause surreal visions and celebrations don’t help but the partygoers (who was having eaten up by the debt needed to make to attend?, none? how sur-realities of the invisible ‘others’). At least proclaim it a closed group running politics of limited interests and narrow accountability. Building community is the wrong label and subject for such conventions. The MIA Film Festival held in Arlington, MA-October r9-12, 2014 was widely publicized and non-exclusionary. This was the event I referred to as a surreal experience and a resounding victory that I personally am still celebrating. Granted not everyone interested in this event could attend, nor could I attend the IEPP conference. I heard about the latter the same way you did via Rob Wipond’s article above. Gutter-class-belonging is a metaphor, as I rent a small room. I am only gutter-class with regards to the ‘normal community face-to-face meetings of the more wealthy’ – as there is lack of commons, at least in winter time, there are no places/rooms to meet up without having to pay for it. I would never have imagined how oppressive the blody capitalism is to poor people who are always excluded, had I kept with the lower middle class I had been born into. I would never have imagined how long is the road to not just hide in shame and blame oneself, but to speak up against injustice and exclusion – if I had not shared with other ‘loosers’, and reading critical books and learning about inwards turned oppression and silencing. Thanks for representing, Ute. 🙂 Gutter-class Solidarity. I support many of your positions taken at MIA, but on this topic I believe you are off the mark. No commenter here (that I know of) has criticized the idea of professionals (or anyone else for that matter) coming together for the purpose of discussing possible visions of the future; that is, a future significantly different from that represented by the current oppressive mental health system. However, once that gathering takes place and those “visions” are presented this all becomes fair game for evaluation and critical appraisal. Isn’t this the kind of dialogue being encouraged here at MIA? And this includes evaluating the actual demographic makeup of those asked to present positions at such a conference. Sinead, your comments have heavily implied that there is something fundamentally wrong with people beginning such an appraisal of this conference. To raise some questions, or even criticisms of the content of some of those “visions” presented, or what actions may actually be necessary to achieve them, all this should be ENCOURAGED and PRAISED, NOT viewed as some sort of “sniping” from the sidelines. IMO it is a very good thing that this conference occurred and that Laura Delano (as perhaps the only psych survivor) was able to speak at it. The mere presence of Laura Delano does not necessarily legitimize the demographic makeup of the conference nor does it somehow validate the thrust of all the “visions” presented, or somehow support the actual path for how we might achieve them. I feel confident that Laura would probably say she was speaking for herself as a survivor, and not as some type of spokes person for ALL survivors. Sinead, it was unfair of you to somehow put her in such an implied position by your comments. Frank’s questioning of the overall demographic (the lack of a significant presence of psych survivors) is clearly a legitimate concern. Who needs to be in the forefront of this movement against psychiatric abuse and the dismantling of the current mental health system? We are certainly NOT lacking in enough articulate and passionate survivors who are quite capable of providing the necessary leadership for this movement. And yes, I believe radical dssidents working inside the system also have an important role to play. Frank’s hindsight regarding the choice of certain words and phrases he used in earlier comments has since been clarified by him. His critical points (as I understood them) regarding proposals for minor reform or slow change, especially emanating from those professionals that may have a clear economic and careerist interest in perhaps maintaining aspects of the status quo, are worthy of serious evaluation as this movement develops. Your main suggestions made earlier (which I will paraphrase) – that we mainly need to focus our movement on attempting to “strip psychiatrists of their MD status” and “convince shareholders in the pharmaceutical industry that psychiatric drugs are poisonous and therefore cannot, and should not, be profitable” and that “rising up to fight the system will only lead to survivors becoming isolated and targeted by their oppressors,” is, IMO, somewhat naïve, and does not represent a valid revolutionary strategy for the way forward. So guess what! The struggle over the way forward for our movement GOES ON right here in this thread, and that is exactly what NEEDS TO BE happening. So respectfully, to you Sinead, and to all those who devoted their valuable time and effort to the conference being discussed, keep searching for answers and solutions and fear no debate or criticism, for that is how we can actually change the world into a better place. What was the stated purpose of this conference? Wasn’t it clarified by the organizer? How did you and others commenting arrive at the premise for your criticisms of this conference?Where do you find reasons to view this conference as part of *the movement* to which you refer when deciding *it* fell short of the mark for satisfying you all? The demographics are consistent with the IEPP that sponsored the conference. Duh? Maybe the slams are for the very existence of the IEPP? How dare anyone but psychiatric survivors hold a conference about any issue that *the movement* has laid claim to? Criticism and debate are indeed necessary– but to criticize an organization for doing exactly what organizations do is absurd– especially when the work, dedication and even risks taken by many of the presenters reflect their dedication to the very issues psychiatric survivors have voiced. My thoughts on the reasons why 70’s tactics are doomed to failure would require more space than a comment permits. But, briefly, I took on a challenge last year that involved public protest, and learned many vital lessons. The last standing public protesters were portrayed as ‘wack jobs’– and though none were whisked off to a locked psych ward, a few were getting close to that fate. I have posted numerous times that given the position of medical doctors in our society, outlawing coercion and force of psychiatry treatment cannot happen. I have put forth the only means for stripping this power from psychiatry. While I am called short sighted for these views, the reality of the means I have proposed looms closer to realization everyday. In my small community based *camp* there is diversity and a shared common goal– and actual proof of this formula. The goal is something bigger than any one of the group members. It is a breath of fresh to be amongst people who have transcended their own egos–. Anyone can do it– anything is possible. I have risen up to fight the system and I was targeted and isolated by the oppressors, AKA Harvard Child Psychiatrists. I have also witnessed, but will refrain from describing in gut wrenching detail, the fate of psychiatric in-mates rising up to fight for their human rights. That said, I never suggest that anyone not stand up for their own or anyone’s human rights, but IF this strategy were a way forward, there would be no reason for this webzine or any further commentary on obsolete conferences. Sometimes it is necessary… but it is a last resort, of those standing in the line of fire– not a first line strategy for a *movement*. I foresee but one way to dismantle psychiatry, though the means are as infinite as human potential dictates, and that is; from the *inside*. Those who know *how* it works, or rather, works to destroy lives are strong leaders for the public, but those who know *why* it has persisted despite the protests of millions of victims, and maybe even as important, those who are acquainted with those *who* fund and fuel the damage, will, in due time, dismantle psychiatry. And, I firmly believe,as an eye witness to the healing power of community building that happened with no more than the strength each of us already possesses inherently as human beings; I absolutely believe that community resilience, the product of this work, is something each of us can help to create, and IT is the most powerful antidote to *psychiatry*. AND, I have to add, IT is not a “grassroots movement”, for or against any particular political issue, but the actions of people sharing in the creation of something of value for themselves and their neighbors– art, education, recreation, aide– you name it. This is human connectedness, not special interest canvasing –and IT *erases* labels and all kinds of stereotypes like no political action or law could ever achieve. Presenters and participants of this IEPP conference were networking face to face, as members of a *professional* community– setting an example, not, imo dictating solutions or claiming to be superior to anyone. Shared here via Rob Wipond’s article, I suggest that the most respectful response by readers, would be to sift the information through their own filters– take what is worth taking, and with the breath of kindness, blow the rest away. (Kahlil Gibran)– Why? because that is work of *friends* — different in mind, united at heart. I foresee but one way to dismantle psychiatry, though the means are as infinite as human potential dictates, and that is; from the *inside*. You know some saboteurs then? Do you mean “peer” this, “consumer” that? I don’t exactly see this erasure of labels that you are envisioning, and I’m thinking the whole system stinks to high heaven, but not because it’s broken, because it works too well. Pardon me if I forswear the patient/consumer/in-recovery role. I prefer the role of human being, and I don’t need all that baggage to be a human being. It does offer a broad divide though, if you want it, between those seen as more capable and those seen as less capable I imagine. No divide Frank– and nary an exclusionary soul amongst the groups I have worked with in *my town*. [still can’t express] went out to the girls’ parents who attended the performance, to the staff at the center where I was teaching dance- extending to their families and friends– and so on and so on. Even people who had known each other fairly well prior to organizing and producing this small town Arts Festival, were transformed by what I call, defying gravity– which was the energy required to get this thing off the ground. That is a scenario, example– of many, that I chose because it was a focus of mine to provide an experience for my dance students that de-stigmatized them, let them see themselves as I saw them– and opened the eyes of *mental health professionals*– gained a much more therapeutic support base for the center, which changed the focus from *treatment* to skills, talent development programs- the positive effects list could on and on. Other activities have involved several of the psych survivors I personally know [as their advocate]– . This one was special to me, because the greatest benefit was clearly gained by the * kids stuck in the system* . I have no close proximity to peer this/ consumer that organized activities, but I appreciated some similar work via films from the Learning Recovery Group in Western MA. I am not now, nor have I engaged in community activities anywhere but way outside the mental health system– and as everything but a mental health professional. There are always divides, Sinead, acknowledged or unacknowledged. I really admire what you say you did for the girls at the residential treatment center. That does sound impressive, and a worthwhile matter. Don’t know what “known only by their DSM labels” might imply, but it sounds like a noble effort. Also agree about there being a lot of undeveloped talent out there that anybody can work on, beyond any incapacity mythology. Actually, I’m all for community building, and I’ve done a little of it myself. volunteering with this organization or that. I think people should be engaged in their communities, and one thing that can’t be said for doing so is that it isn’t debilitating. It is, in fact, very enabling. I’m not, on the other hand, out to make a sacred cow out of any type of endeavor, and I think that’s kind of where you were going with the ISEPP conference. I’m not saying that good won’t come of it, I am saying that there is always room for, some people like the word qualified with “positive”, but criticism or critical thinking. I commented once about the rift between the radical abolitionists and the moderate reformers. This kind of division has been with us almost since the inception of our movement. I would suggest that we probably fall on opposite sides of this division, but I don’t think any amount of arguing can make one position the other. I would not question your courage and willingness to stand up for what you believe. You have shared details of your struggles in the trenches and I admire you for the stances you have taken; many times at great risk and with personal sacrifice. Perhaps the unfortunate outcome of some of those particular battles has dampened your outlook on the value of this form of struggle as part of a much larger political strategy? We differ on the role of organized political struggle and on what it will take to dismantle the current mental health system and render Biological Psychiatry to the dust bin of history. Individuals and groups standing up in various forms of resistance to “business as usual” will be one of the more important avenues to building a much larger more powerful movement. The word “naïve” has more meaning when applied to your ideas about convincing stockholders to abandon supporting the sale of psychiatric drugs and stripping psychiatrists of their “MD” status. What these positions ignore is just how entrenched and necessary Biological Psychiatry has become for the maintenance of the entire capitalist system. In our culture of addiction, psychiatric drugs have gained a foothold of acceptance and dependency that almost rivals some other popular substances that have been around much longer. The rich and powerful, not only control distribution of psychiatric drugs but also the key instruments of manipulating public opinion about them. They are highly profitable, and together with the role of “force’ in our legal system, they are very useful to control the more volatile sections of the population. Anything to divert and numb people from rising up is very useful to preserving their system. The powers that be in today’s world would not be willing to ultimately strip psychiatrists of their MD status nor discourage the use of psychiatric drugs; this would ultimately undermine their own power and hasten the fall of their empire. The struggle to end psychiatric abuse has to be part of a much larger human rights struggle on a grand scale. The struggle by those working “inside” the current mental health system MUST be united with those on the outside or it will end up nowhere but in the dead end world of petty reforms. We at Rethinking Psychiatry in Portland put on a symposium last year that was more focused on getting alternative service providers on board than what we’d attempted in the past. It was very interesting to note that some of the same issues came up that reflected survivor experiences with the standard mental health system, though clearly with much less intensity. The issue of labels, in particular, was very challenging – if we’re not using DHS labels, then are we using alternative labels or no labels or what? And if we’re not using labels, what exactly are we “treating?” We got feedback from some (not all) of the survivors who attended that even though it was great to see alternatives offered, there was still a sense that “we are the providers” and “you are the clients” that supported the existing biases and power structure that they’d encountered elsewhere, and left them feeling like the survivor’s voice had been muted or even eliminated from the conference. I am generally supportive of efforts like ISEPP to look at providing a range of alternatives for people experiencing distress. However, unless this movement is deeply informed by those supposedly benefiting from these alternatives, it’s pretty easy to fall back into the same game with slightly different rules about who is allowed to be a “client” and who is allowed to be a “treatment provider” and what a “treatment provider” has the authority to do to the “client.” Rather than doing away with ISEPP, I would love to see a more direct engagement with the survivor community and a full-on discussion of social oppression and its role in creating “mental illness” from the point of view of those who end up getting diagnosed, as well as a very survivor-centered agenda when it comes to defining what is and is not helpful. A large dose of humility is an absolute necessity for anyone purporting to help others “professionally.” There are times when I’m with Frank in thinking it may not really be possible, that defining the roles of “professional” and “client” sets up such a significant power imbalance that is too easy for the so-called “professional” to take advantage of. Not sure what the answer is, but I do know that the biggest question I get when I suggest that psychiatry is doing more harm than good is, “What is the alternative?” I really do think that question needs to be answered, and I do believe that ISEPP and its ilk are genuinely trying to solve it. I’d just think the solution, if there is one, is going to come from the grassroots rather than from academia, for the reasons stated above. Thanks Steve for highlighting important barriers but also changes in social practices needed for a liberation from psychiatric oppression and social control to be replaced by collaborative action in rebuilding communities. Grassroots is an important ‘call’ here. In my view the politics of dispossession and socio-economic and socio-cultural injustices – with conventional healthcare being positioned in the mazes of these politics by its middle class history, values, education – need be adressed. There are politcal, human rights and capabilities reasons for the marginalized to have the right to claim for democratic funding for grass roots community building. As long as the people in power (?!) do not agree with that knowledge, practice, assets ownership are ‘rightfully’ in the hands of a mostly white elite – permissive of colored peers – in capitalist ideology of nation, ownership, elitism, patrichism, financial high stakes gambling, social and ecological destruction. The question of participation and shared action as well as responsability for all collectives of people concerned for me is a defintive starting point: with liberatory exploration, action and narratives beyond the current mental health/illness ideologies. Long before anyone was talking about global warming there were people trying to draw attention to human rights abuses by the mental health system in the USA and around the world. Others were trying to expose the pseudoscience of psychiatry including several from within the profession (who were denounced or more usually ignored by the Australian universities). Despite its lack of scientific methodology psychiatrists are given powers by the state that are not shared by other doctors (however much one thinks a someone needs their appendix removed a surgeon cannot force the decision on a patient). Recent reports in the Australian media show that psychiatric patients have a life expectancy 20 years less than the rest of the population. The reasons for this appalling statistic include both the drugs and the “psychotherapy” – when by what is meant by psychotherapy is merely reinforcing the pessimistic disease label applied by the psychiatrist (termed ‘gaining insight’ when it is quite the reverse). If you are manipulated or forced to believe you have an incurable brain disease that requires life-long drugs that actually shorten your life and make you feel unwell it is not difficult to see how this could drive you to suicide. Though capitalism is contributing to the problem because of the role of the drug companies, identifying corruption in the medical profession and drug companies (as Professor Peter Gotzsche and others have been doing) is one important means of addressing the problem of ‘unbridled capitalism’. The problem of overdiagnosis of ‘normal’ people that Professor Alan Frances has identified still aims to preserve the foundations of psychiatry – which in my opinion are fundamentally flawed. A case in point is the problem of climate change – the big polluters are under no risk, within the current paradigm, of being locked up and injected for their environmental vandalism – this fate is much more likely to befall a young protester against pollution. I don’t know about where you are but here in Western Australia they simply declare an ’emergency’ if a patient refuses any medication or treatment, and you will be restrained and treated against your will. Saying NO, constitutes an emergency and any doctor has the power to do whatever they wish given that situation. Doctors, as well as Psychiatrists, have carte blanche given this loophole.